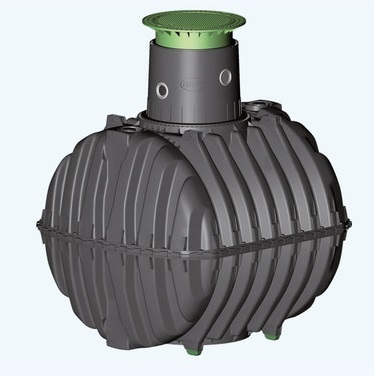 Here at Drainage Superstore we are proud to offer a range of rainwater harvesting systems from GRAF, a worldwide leader in the high quality production of plastics. But what are rainwater harvesting systems, why are they a great choice, how does the GRAF Carat rainwater harvesting system work, and how are GRAF rainwater harvesting systems installed? We’ve put together a brief guide to tell you everything you need to know about GRAF rainwater harvesting systems. Rainwater harvesting involves the collection and storage of rainwater for use within the home and garden. In the UK there is plenty of rainfall, which can act as a never-ending source of water that is free and accessible to everyone. Rainwater harvesting is a great way to save money on your mains water, as it can provide water for a number of tasks such as doing the laundry, watering plants, flushing the toilet and cleaning the house. It can reduce your mains water bills by up to 50%! Reusing rainwater improves the sustainability of your home – it is estimated that on average, each person in the UK uses around 150 litre of drinking water a day, but at least half does not need to be of drinking water quality. By using rainwater for a number of tasks, energy is saved in the filtration, chemical treatment and pumping processes. 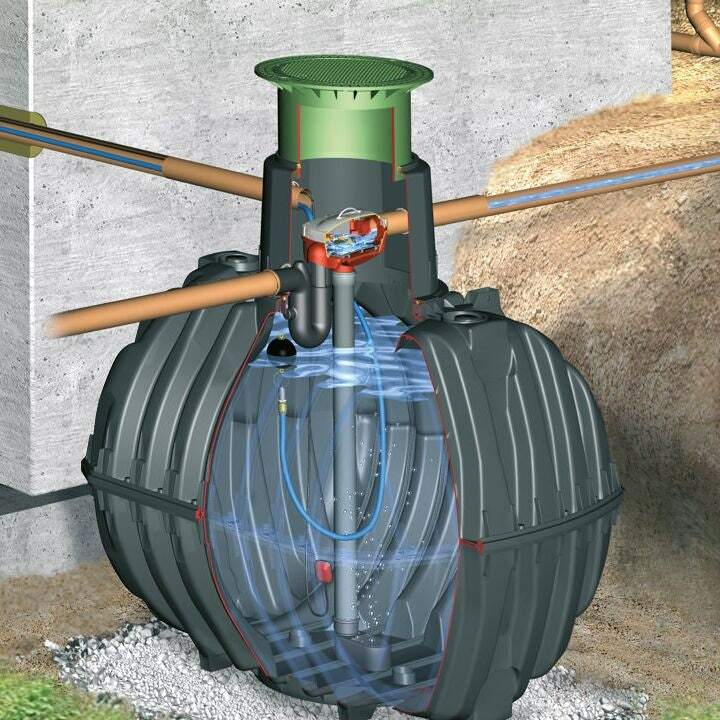 Rainwater harvesting systems are also a form of Sustainable Urban Drainage System (SUDS). 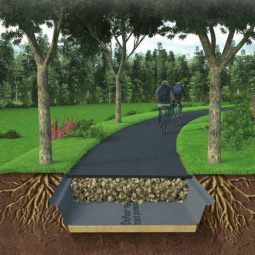 This can help to reduce the potential for flooding in urban areas, as it reduces the amount of run-off that contributes to flooding in times of heavy or prolonged rainfall. Additionally, if the tank overfills, excess water will flow into a soakaway, instead of going into public drains and adding pressure to the drainage system. Rainwater tends to be softer, chemical free and limescale free – this can be beneficial for use in the home, as it will reduce the amount of washing detergent required. Additionally, it is much more suitable for your garden due to the lack of chemicals, as it is the most natural source of water for plants. 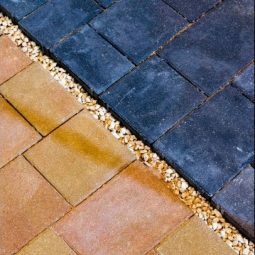 Additionally, having rainwater storage is beneficial in periods of prolonged dry weather as it can be used when there is a hosepipe ban. Rainwater that has fallen onto the roof is captured by the guttering and directed into the rainwater harvesting tank by downpipes. The water is then filtered by an integrated Optimax Pro filter, before flowing into the tank via the distilling well. The water is at its cleanest just below the surface, so a floating suction hose draws the water from here and transports it into the home. The whole system is controlled by the Aqua Center Silentio, which supplies the home with water according to demand, and will automatically switch to mains water if the tank is empty. – Filter package – all the components that are involved in the filtration, cleaning and intake of rainwater. This includes: the overflow U bend with rodent protection, the self-cleaning Optimax filter which has a rainwater yield of up to 95%, the jetwash Opticlean (if chosen as an optional extra), the transparent Optimax cover, and the stilling well. 1. First, prepare an excavation area to accommodate the tank. The base of the trench must be wider than the tank by 500mm on each side, and the tank must be at least 1000mm from solid constructions. If the tank is being installed within 5m of a slope, a supporting wall must be erected – this needs to be 500mm larger than the tank in all directions, and located at least 1000mm away from the tank. 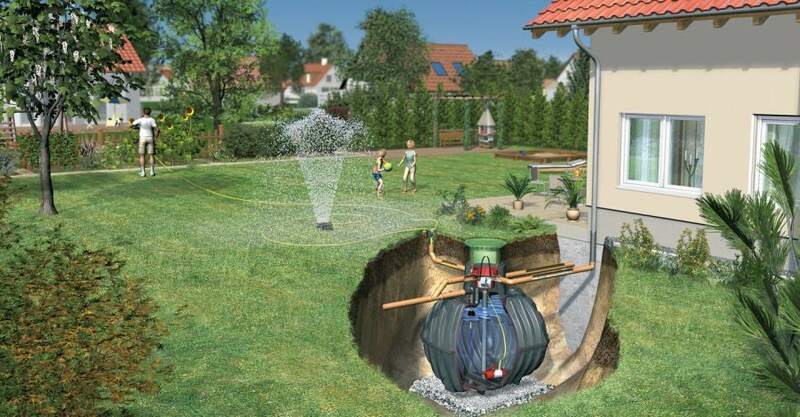 If the tank is being installed in an area where groundwater exceeds the recommended immersion depth, a sufficient dissipation solution must be created. The immersion depth is 350mm, regardless of the size Carat tank being installed. 2. Next, lower the tank into the excavated area, ensuring it is aligned horizontally. Make sure to use suitable equipment to lower the tank into the prepared area. 3. 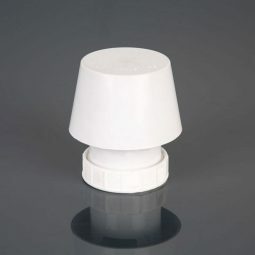 The tank turret can be easily attached to the top of the tank, and it turns to allow pipe connections to line up easily. 4. The next step is to install the filter package, and then connect all downpipes from the roof to the tank, and the overflow to the available discharge option. This is a simple process, due to the push-fit joints and quick connection collar. When connecting and installing pipes, try to achieve a decline of at least 1% in the direction of flow. 5. To complete the system, fit a pipe to connect the house and the pipe. This pipe is used to hold the floating rainwater suction hose, the supply hose for the Opticlean unit, and the water height measuring cable. 6. The control panel (Aqua Center Silentio) will need to be installed somewhere inside the house. We’d recommend installing it in an area such as a utility room. 7. 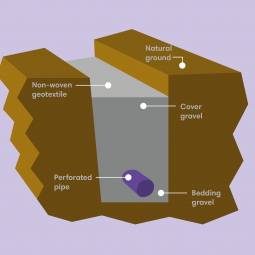 When all of the above installations and fixings have occurred, the backfilling process can begin. Backfill in layers of 30cm, ideally using a gravel or similar material, whilst simultaneously increasing the water level within the tank. 8. Install the telescopic dome shaft just before the backfilling has been completed. Try to ensure it is installed to be exactly level with the surface of the ground – the shaft has been designed to be able to adapt to almost any ground depth. 9. Finally, apply identification markings to all pipes involved in the rainwater harvesting process, to clearly mark that it is non drinking water. In regard to inspecting your rainwater harvester, we’d recommend checking the entire system for leaks, cleanliness and stability at least once every three months. Services should be undertaken every 5 years, and the whole system should be drained, all surfaces should be cleaned and all dirt should be removed from the tank. Additionally, all seals should be checked, and all internal parts checked to be secure. Want to know more about rainwater harvesting systems or looking to find the perfect rainwater harvesting system for your home or building? Call our team of experts on 01752 692221 or use the live chat and they will be more than happy to help.